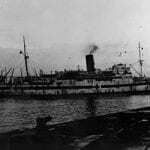 257776 Sister Edith Mary BATEMAN Queen Alexandra’s Imperial Military Nursing Service was killed at sea on the 12th February 1944, when the SS Khedive Ismail was torpedoed by a Japanese submarine in the Indian Ocean1 2 3. She is commemorated on the Brookwood Memorial, Panel 22. Column 2. 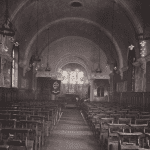 Daughter of Lewis and Margaret Bateman, of Risca, Monmouthshire4.